A study of ‘symptom variation’ in Parkinson’s will use newly available open software from Apple to gather data “more frequently and more accurately” from potentially thousands of participants – via their smartphones. 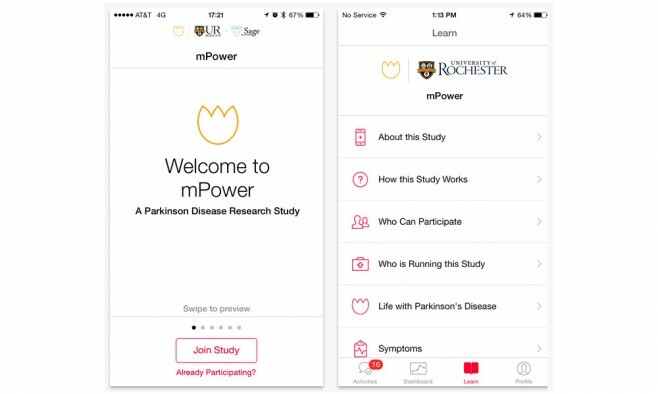 Parkinson ‘mPower’ is a patient-centred study sponsored by Sage Bionetworks, a nonprofit biomedical research organisation, using a Parkinson’s specific app developed in partnership with experts at two UK universities. The mPower app harnesses the new ResearchKit software framework announced last month by Apple. This enables participants to easily complete tasks or submit surveys from their smartphone and delivers a simple way to present participants with an interactive informed consent process, according to the developers. Is there any effort to port this over to the Android ?